By Tim Martin (Fukui-ken, 2006-08) for JQ magazine. Tim works as a research assistant in a neuroscience lab, and is an avid swing and blues dancer in New York City. He runs a humanist/atheist blog, The Floating Lantern, and is looking for ways to make a difference in people’s lives. So it’s an interesting place. It’s also where Sam Baldwin (Fukui-ken, 2004-06) ended up when he applied to teach English in Japan as a member of the JET Program. In For Fukui’s Sake, Baldwin recounts tales from his two-year stay in this quirky rural backwater, weaving together the varied strands of his experience to form a continuous narrative of adventure and personal growth. While working a monotonous job as a “research lab technician” in the UK, Baldwin decided he needed to broaden his horizons. Looking to discover what else life could offer, he set his sights on Japan, which, according to a friend who had visited, was a place where Baldwin could indulge in his love of snow and mountains. This may be a casual way to make the decision to start a new job in a strange country, but the required spontaneity and openness to new experiences may be what ultimately allowed the author to glean so much from his time in Japan. The assignment to live and work in a lesser-known part of rural Japan doesn’t immediately suggest much opportunity for adventure or excitement, yet Baldwin manages to find both by taking advantage of his unique location and the people he meets in Fukui. Following his obsession with snow, Baldwin tracks down a local bar owner who happens to be a serious mountain climber, thus beginning a friendship that eventually takes him to the snow-capped peaks of some of Japan’s most sacred mountains. He also tells of a trip to the home of a Japanese sword sharpener—one of a rare breed of artisans from a bygone era. There Baldwin learns about the craft firsthand, and is afforded the opportunity to see a 600-year-old katana, one that has almost definitely been used in the taking of life. The tales Baldwin recounts of his time in Fukui, I must admit, hold a special significance for me. 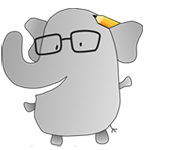 I taught English in Fukui for two years myself, beginning right after the author left Japan. He and I have never met, but I do know many of the places and people he describes in the book personally, and so there is a much greater connection between text and experience. Or in some cases, a disconnect—in reading Baldwin’s book, I learned more about my erstwhile neighbor, a fisherman in Obama City, than I ever did from living next door to him. It’s incidents such as this that make me wonder how I could have taken greater advantage of my own time in Japan, and learned more from, or more about, the people around me. 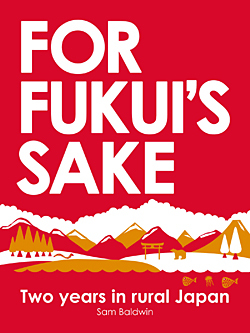 I should also make one more admission about the book, in a less serious vein: the word “Fukui” is so commonplace to me that it took me three days to realize that the book’s title was meant to be a pun. Prior to that, I simply thought that the author had done something nice for Fukui. So not in all cases does familiarity breed understanding. Throughout the book, Baldwin describes many of the common surprises and challenges that foreign residents are confronted with in Japan, no matter where they happen to live. There’s the fascination with Japanese technology—so perfect when it comes to the Washlet toilet, and so lacking when it comes to the uncovered drainage ditches on the sides of the roads. There’s the joy of being a celebrity…followed by the frustration of being a celebrity. Baldwin also describes the particular pleasures and troubles of being a JET participant—for example, giving an introductory speech to your school in a language you don’t know, or wondering why your teachers opened up to you at your school’s enkai, only to treat you distantly at school the next day. Those who are familiar with the life of a foreign teacher in Japan will find few stories here that they haven’t heard—or lived—before. Fortunately, Baldwin recounts them with such charm and humor that readers won’t mind treading these well-worn paths again. One of the enjoyable aspects of For Fukui’s Sake is witnessing the way the author discovers truths about the Japanese people through his experiences. It is during his trip to the massive Fuji Rock Festival that Baldwin remarks on the Japanese penchant for cleanliness when he notices that there is no litter strewn about the concert grounds. He also has several occasions to bring up the incredible kindness of the Japanese toward strangers, such as when two young men in Tokyo guide him and his friends to a bar they were looking for, have a few drinks with them, and then insist on picking up the tab. These observations don’t make for in-depth cultural analysis, nor do they have to. The author shows us, simply, what a person of another culture might learn about the Japanese by being in Japan. The author’s final thoughts about his stay in Japan struck a chord with me. During my time in Japan, I was always looking for that sense of fitting in, or being “just one of the guys,” even though, as a foreigner, I couldn’t be. I did have one group of close Japanese friends with whom I found it. Baldwin was looking for that, too, and he found it—among the cast of characters who frequented the bar owned by his mountain climbing friend. Though many people seek adventures in foreign lands, if they stay in one place long enough, they often find it’s the people they befriended that end up meaning the most to them upon their departure. For Sam Baldwin, this is certainly true. For more information, visit www.forfukuissake.com. just FYI, Fukui has two Starbucks, and is actually quite famous in Japan. It is in the newspaper quite often for various things like: it has been voted the HAPPIEST prefecture in Japan. It also boasts the most drivers per-capita in Japan. For a so-called inaka prefecture I can name ten others that most Japanese kids and adults can not even tell you where they are like Ehimi, Miyazaki, Ooita, Saga, Yamagata, Yamaguchi, Tokushima, Kagawa, etc, etc. Echizen Kani (crab) comes from Fukui and sells for HUNDRESEDS of dollars in Tokyo becuase of its fame all across the country for being supposedly the best crab in the country. We have one of the biggest, and most famous Buddhist temples, Eheji, that even the late Steve Jobs had looked into coming to and staying at to study Buddhism. Fukui is also the largest maker of eyeglasses in Japan, and it was printed in both Japanese and American newspapers that Sarah Palins glasses came from Fukui. Not to mention it is pretty well known that we have city that shares the same name as President Obama. One day, while I was visiting Tokyo, I looked at the bag the women next to me was holding. Low and behold it was a bag from the Fukui Dinosaur museum. What are the chances. Turns out. pretty big becuase the mueasem is right next to one of the most visited and popular ski resort in all of Japan. Ski Jam of Katsuyama Fukui. Plus in trsuuga we have one of only about 12 major shipping ports on Honshu island. A Jr. High baseball team, from Ono city also placed 2nd in the NATIONAL championships, and a badminton team placed 1st! Of course Fukui is no Tokyo or Kyoto, but to say its is not famous is a pretty big error. On the JET program it is pretty much a well known fact it is the best prefecture to be placed and has many AJET awards year after year after year. Ever heard of Blu-ray? Well you can thank a scientist from Fukui for that one. A man from Fukui is the person who invented the blue diode that makes things like blu-ray possible. Not to mention one of the VERY few Japanese people who have had the honor of winning a Nobel price was from Fukui. I am sure I am leaving a few things out… chances are if you find a Japanese person from Tokyo who does not know about Fukui, they probably can not even name the prefecture that surround Tokyo either. Just because there are far too many people that have no idea a world exists outside of the dystopian Tokyo Megalopolis does not mean Fukui is not famous in Japan. FYI one starbucks is in front of LPA mall and the other is at Minamiechizen-cho. You can check starbucks website if you don’t believe me.